As a small business owner, you understand how much work goes into a work-related project from start to finish. If you have the ability to call on outside resources for help on these projects, why wouldn’t you? That’s where a project management team comes into play. They take a look at the project(s) you have and create a plan of action to get you your desired solution. Then, you leverage their expertise to get the job done right. No matter the size of the project, having a project management team at your side is a must. 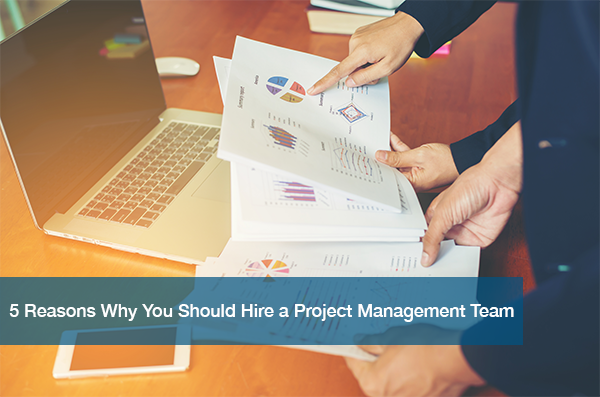 Here’s a few reasons why you and your small business should hire a project management team for any upcoming projects going into 2017. Projects can get costly, especially if you don’t plan and budget. Using a project management team helps you stay on track and on budget, giving you peace of mind. A project management team works with you, not for you. Meaning, they want you to be a part of the conversation and planning as much as you want to be. That way, you can consider all ideas and viewpoints. Maybe you just don’t have the time to complete a project, and that’s okay! You can trust that a project management team can get the job done with your involvement or not. That way, you have time to focus on more important matters. Does it take your business a while to get simple projects complete? With a team at your side, you’re able to save time and get the solution you want quicker. You’re hiring a team because they’re the right ones for the job. It’s safe to say that they’re experts in what your project is about, and they’ll have the right tools and skills to get the job done. So, if you’re not knowledgeable in a certain part of the project, they’re the ones you can trust to help. ITC is different from any other project management team in the devotion we have to our clients. For anyone that has done business with us, this is no surprise. We have a high client retention rate because of our drive to go above and beyond for small businesses. This is what makes us a great project management team for your business. If you want to learn more about how ITC can save you time and energy as your project management team, schedule a free IT needs assessment today.